TISCO Foundation went to Soi Damrongpipat, Bangkok, to donate a start-up grant to Wassana Sae-Lim on May 26, 2015. Wassana is 49 years old. 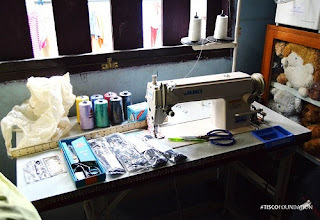 She has received a sewing machine, sewing threads, etc. to start a cloth alternation business at home. The value of this grant is about THB 10,000.